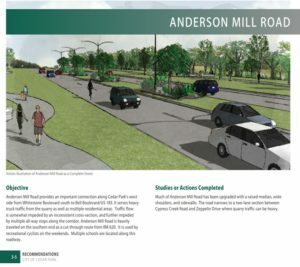 The City of Cedar Park has allocated bond monies for the expansion of Anderson Mill from Zeppelin to Cypress Creek. 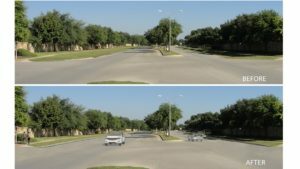 This will expand the roadway from two lanes to four. 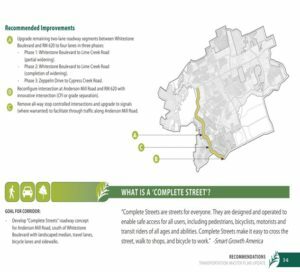 The medians will remain and the widening is roughly 6 – 8′ from the current white line. Below is information on the project. Check back to this page for additional details and updates.